Desirable First Floor, 1 Story Unit WITH Garage in the Lakeview Condominiums in Normal! Close access to the Constitution Trail and not too far from ISU – Location, location, location! Great use of space in this condo layout! Walk up to the front door and get a picture perfect view of the association pergola and pond. Inside you’ll find a foyer with coat closet. 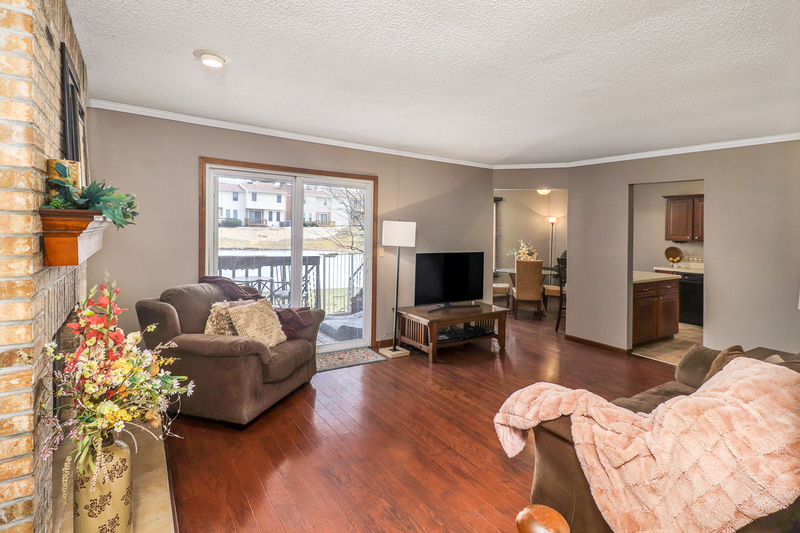 Step down into the open living room with gas fireplace and hardwood floors. Sliding glass door provides access and views of the pond. Beautiful updated kitchen with breakfast bar seating at the island – more counter space! Separate dining area as well. Two bedrooms – One with separate vanity (Master) as well as connected to the full bath. Detached one car garage, visitor parking, as well as additional spots by each unit. Come see this beauty!! HOA Covers Snow removal, lawn and other common ground maintenance.